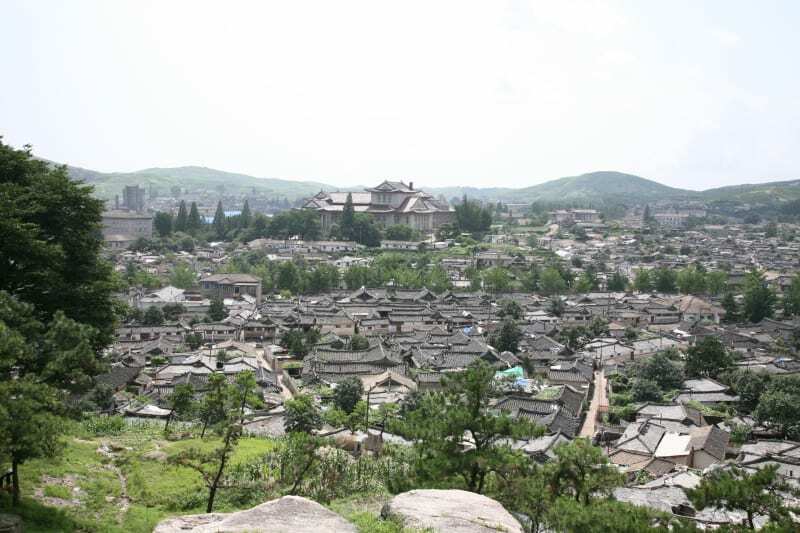 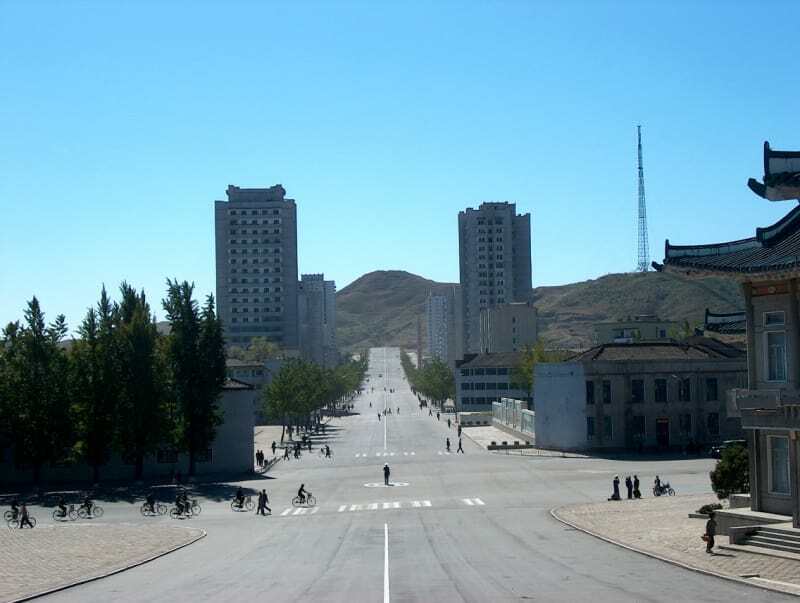 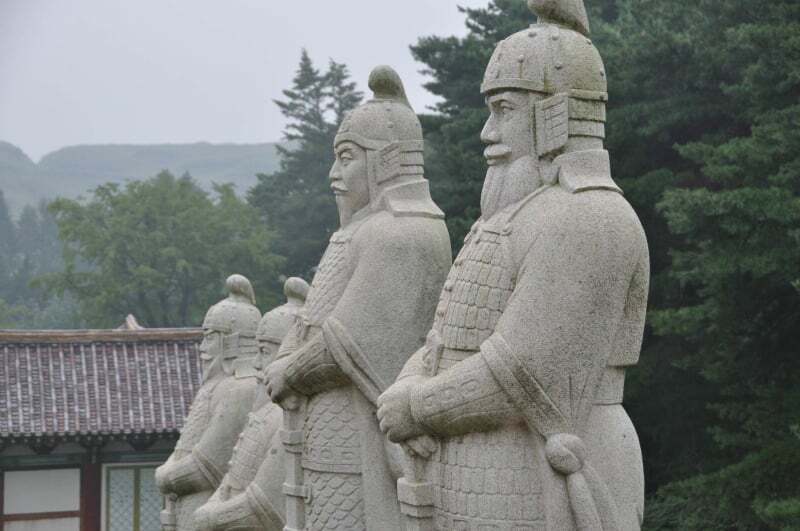 Kaesong was the capital of Koryo (918-1392), first unified state on the Korean peninsula. 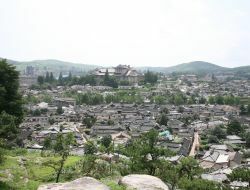 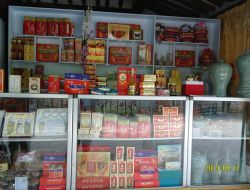 It is divided in an old and a new cities areas. 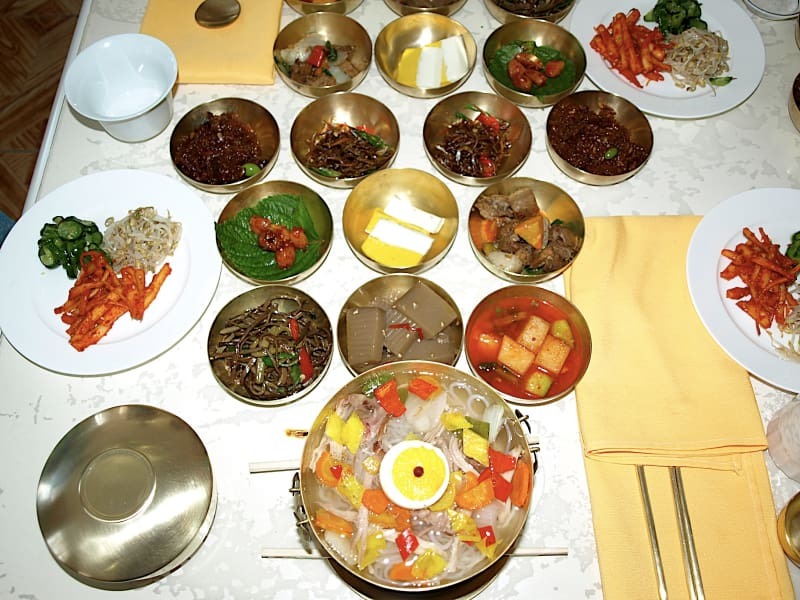 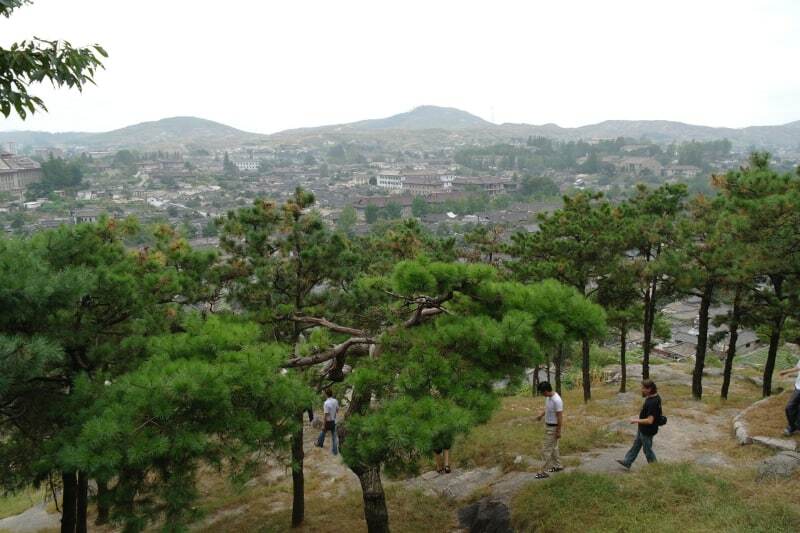 From old times Kaesong has been called as "Songak" or "Songdo" for many evergreen pine trees and fabulous landscape scienaries. 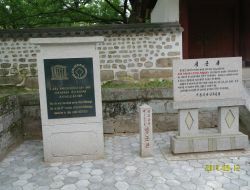 Sonjuk Bridge in Koryo Museum. 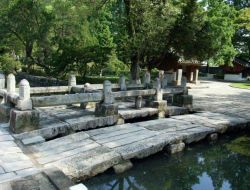 A small stone bridge dating back to 1216. 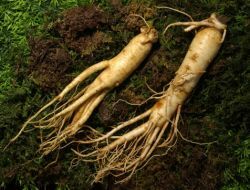 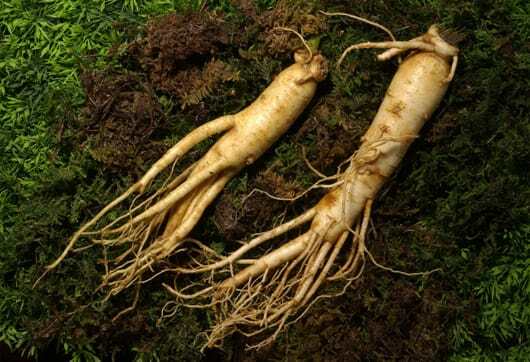 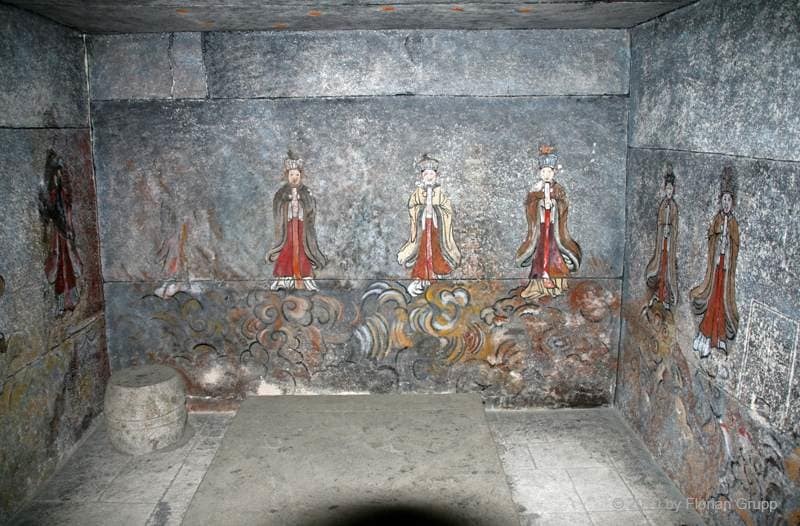 It is only 7 meters long and 2.5 meters wide. 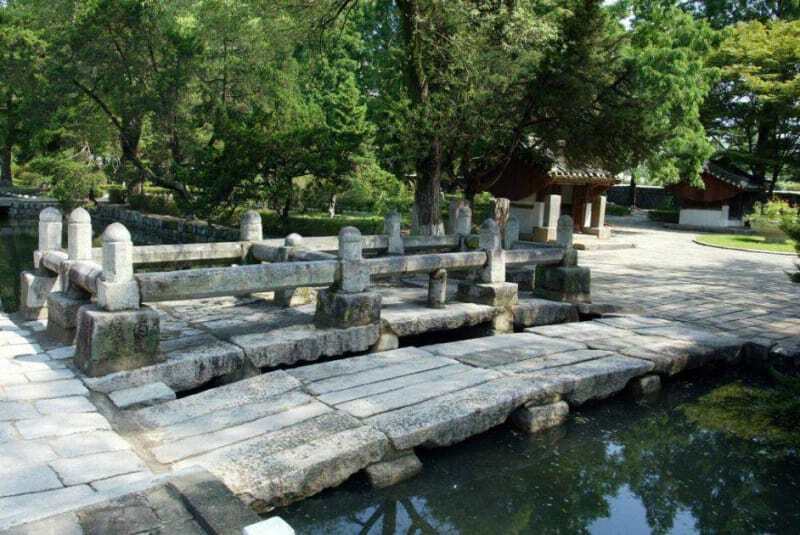 Lee Bang Won, the third king of the Chosun Dynasty and son of first king of that dynasty, had his opponent Jong Mong Ju executed on this bridge in 1392. 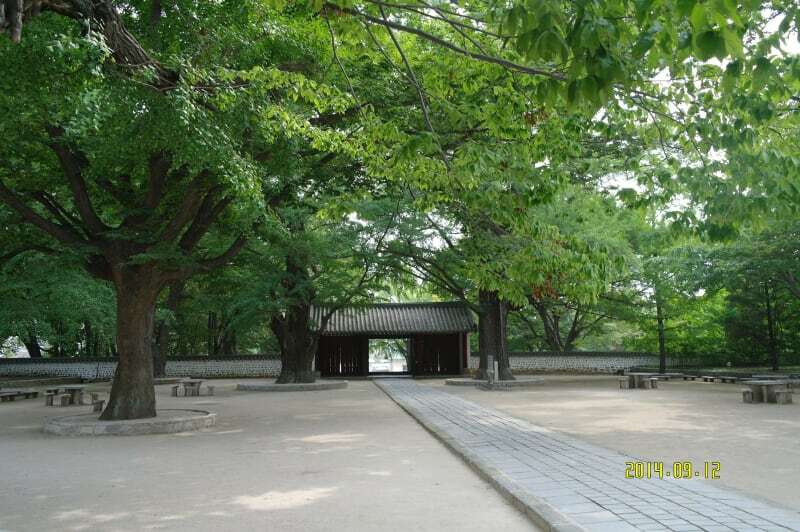 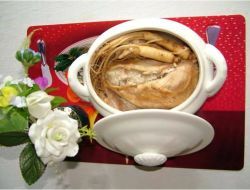 It is named after a bamboo that grew up beside the bridge. 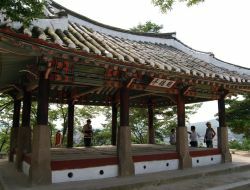 Sonjuk Bridge. 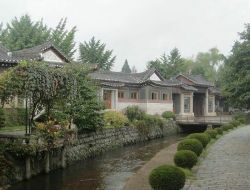 A small stone bridge dating back to 1216. 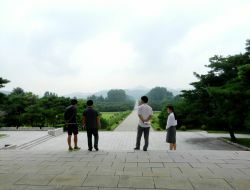 It is only 7 meters long and 2.5 meters wide. 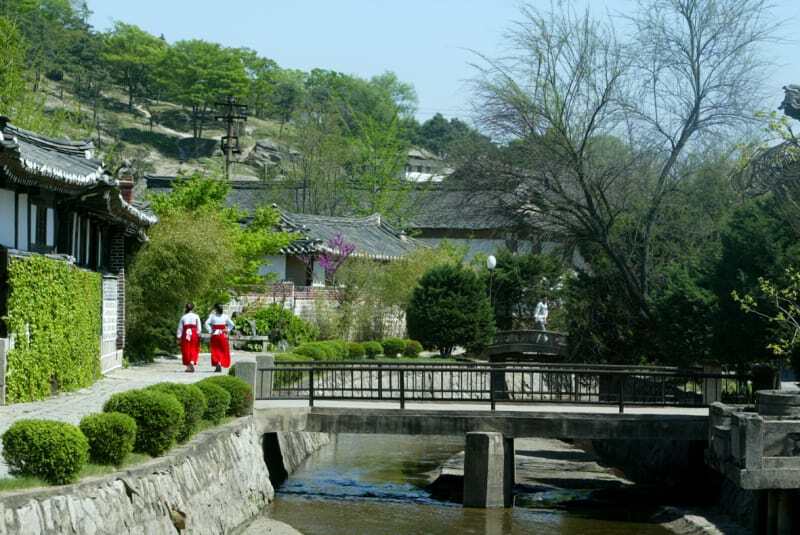 Lee Bang Won, the third king of the Chosun Dynasty and son of first king of that dynasty, had his opponent Jong Mong Ju executed on this bridge in 1392. 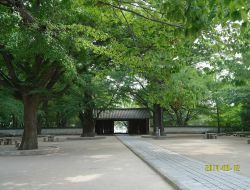 It is named after a bamboo that grew up beside the bridge. 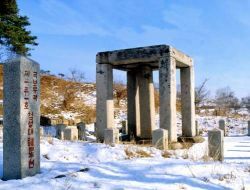 On a hill 13 km outside Kaesong are the tombs of King Kongmin and his queen; from the tombs there is a nice view of the surrounding scenery. 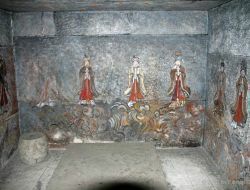 This is a particularly good tomb to visit owing to it being in close to its original state with little reconstruction. 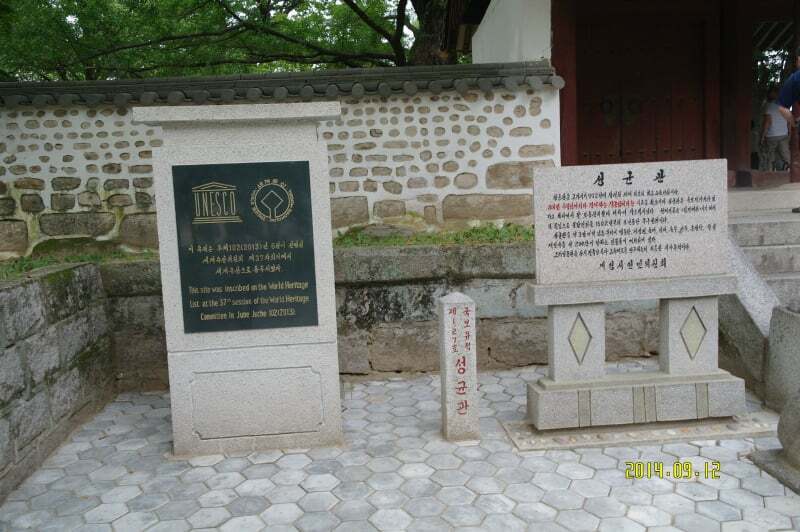 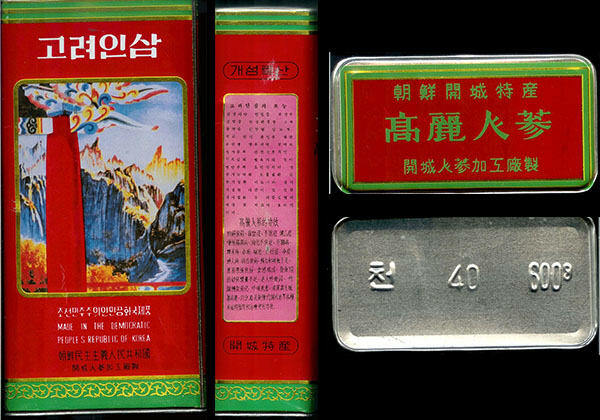 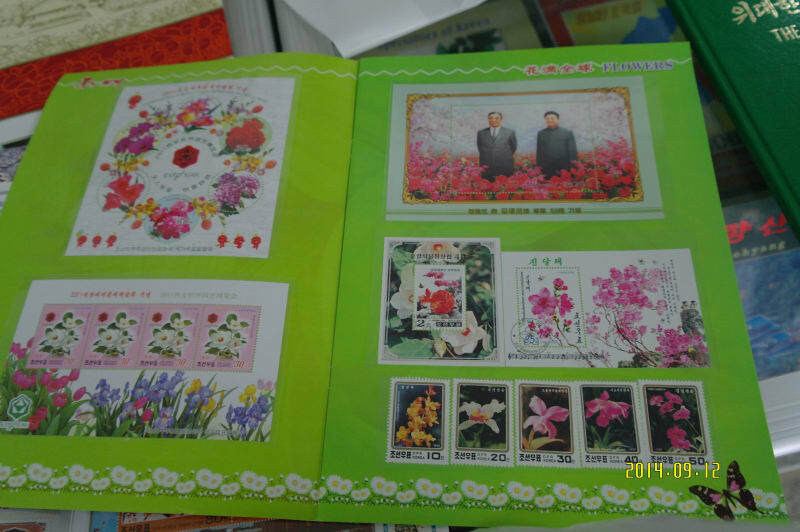 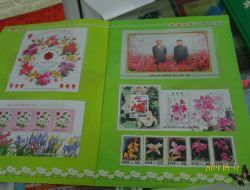 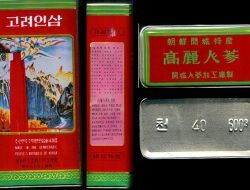 The coffin of Kongmin can be seen nearby in the Koryo Museum in Kaesong. 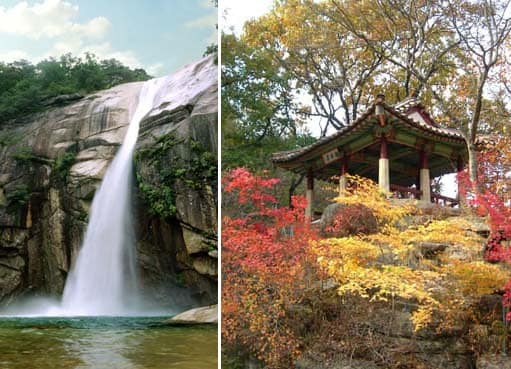 Pakyon Falls - one of the three famous falls in Korea, it is located about 25km north of the city center. 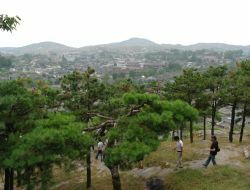 At the top of the falls 37m high is 8m round pond named Pakyon. 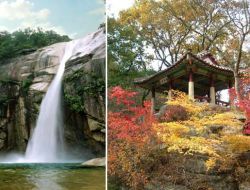 Below the falls is Komo Pool associated with a lot of legends. 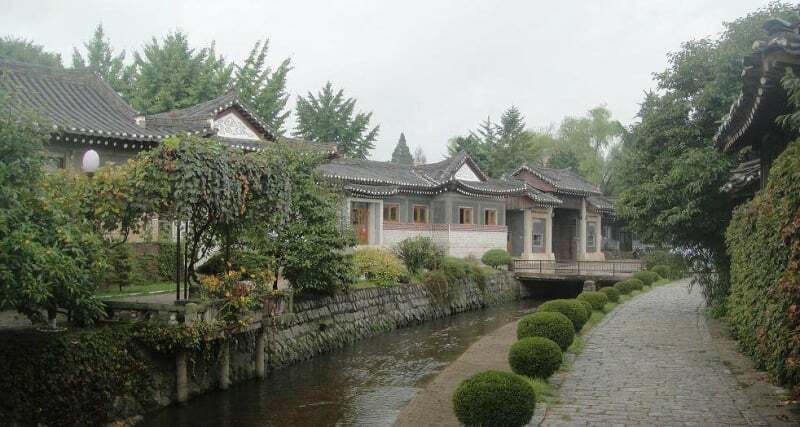 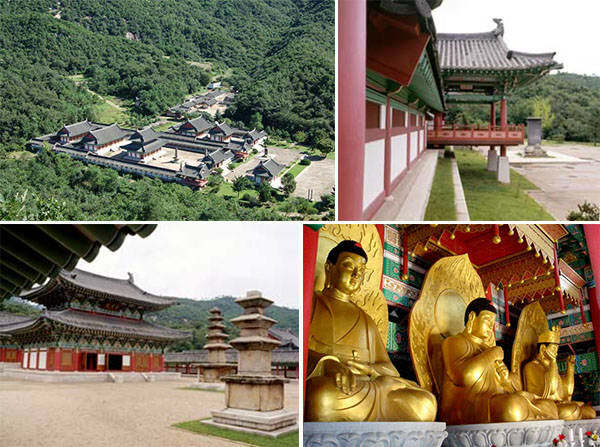 Ryongthong Temple is the famous as the hole place of Korean Chonthae Sect of Buddhism, nestled at the Ryongthong Valley of Mt.Ogwan 12 km from the city centre. 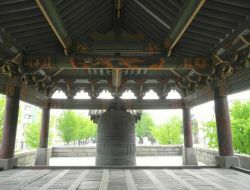 The temple was bult early in the Koryo dynasty and existed till the 16th century. 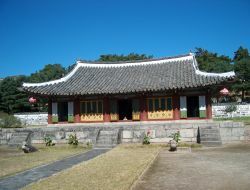 In October 94 (2005) the temple was reconstructed. 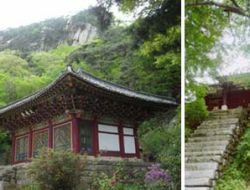 Ch'ŏnju-sa Temple is located on the southern slope of Yaksan mountain, in Yŏngbyŏn, North Pyŏngan province. 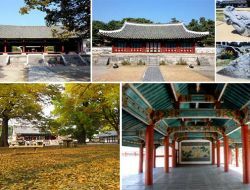 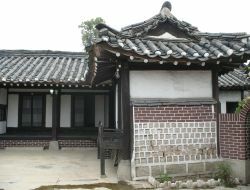 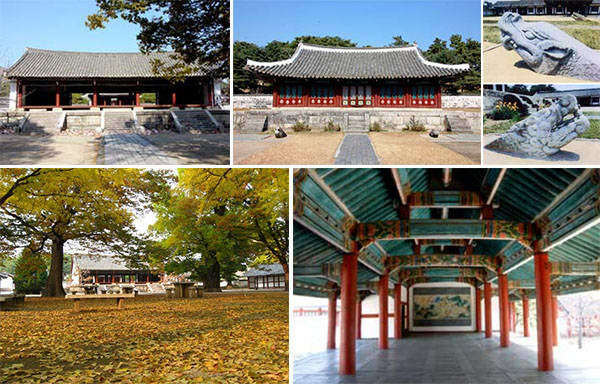 Founded 1684 during the mid-Joseon dynasty the temple today retains its main prayer hall, known as Pogwang Hall; the Ch'ŏnju Pavilion, once known as one of the six most scenic spots in Yongbyon. 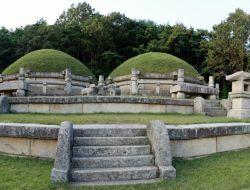 Anhwa Temple it is one of the Kpryo-dynasty temples. 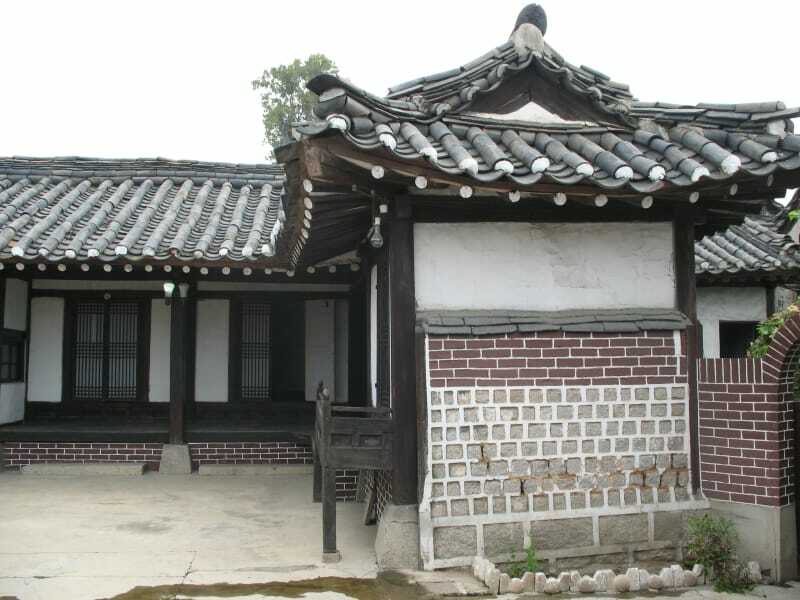 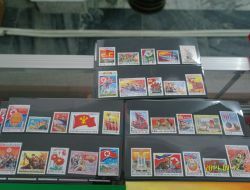 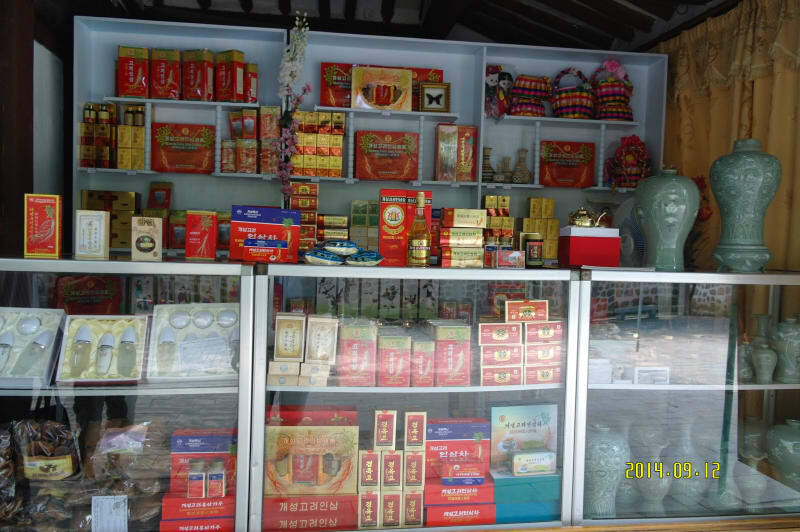 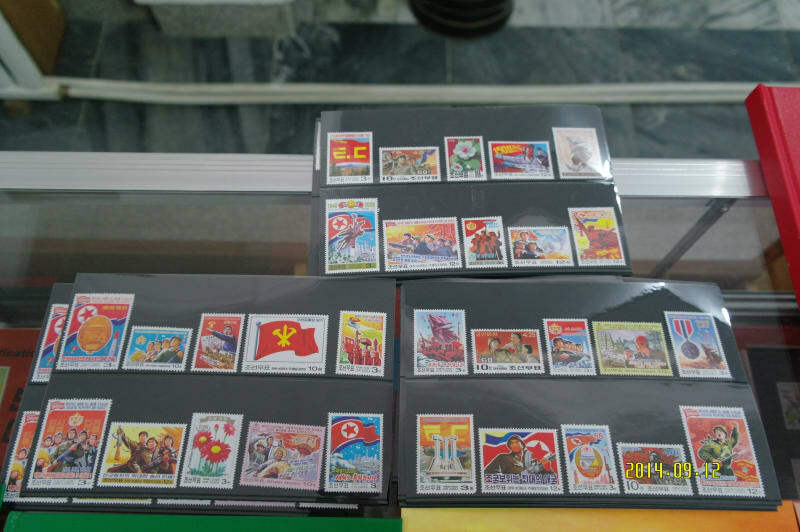 It ws built in 930 on the mid slope of Mt.Songak. 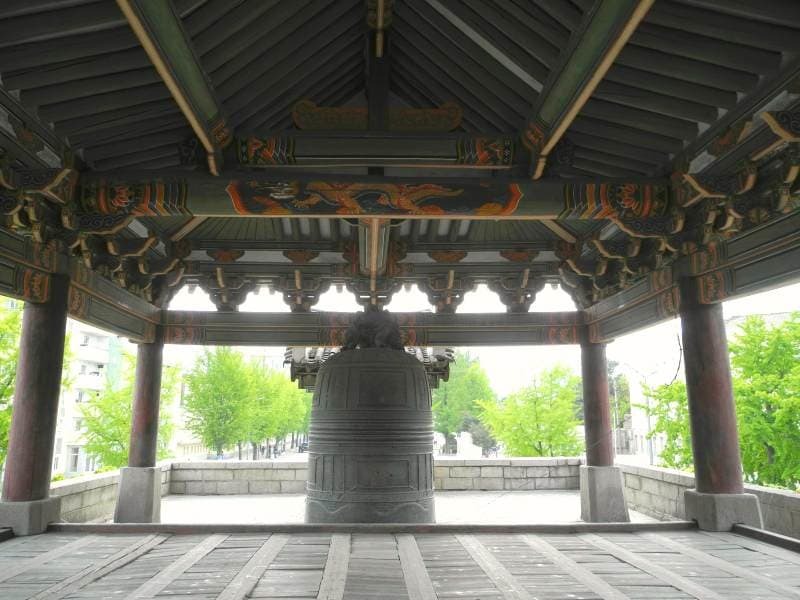 The temple consists of Taegung Hall, Myongbu Hall, Obaek Hall, 7-story pagoda and a dormitory. 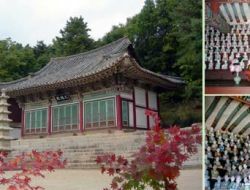 Kwanmun Temple built in Koryo dynasty, it consists of Kwanmun Grotto, Taeung Hall, a dormitory, auxilary buildings, 7-story pagoda and some other minor buildings. First built in 970, it was enlarged in 1393, the present temple was rebuilt in 1464. 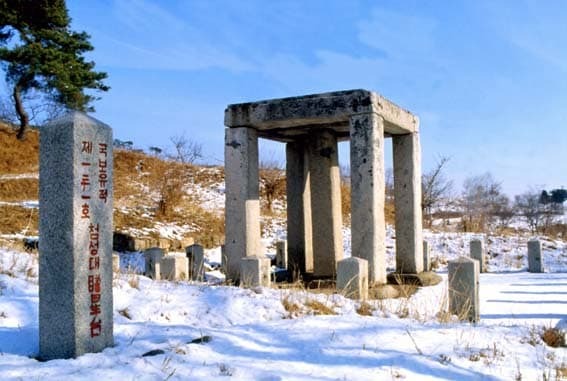 Chomsongdae it is an astronomical and meteorological observatory used during Koryo dynasty to carry out sunspot observations from 1024 till 1383. 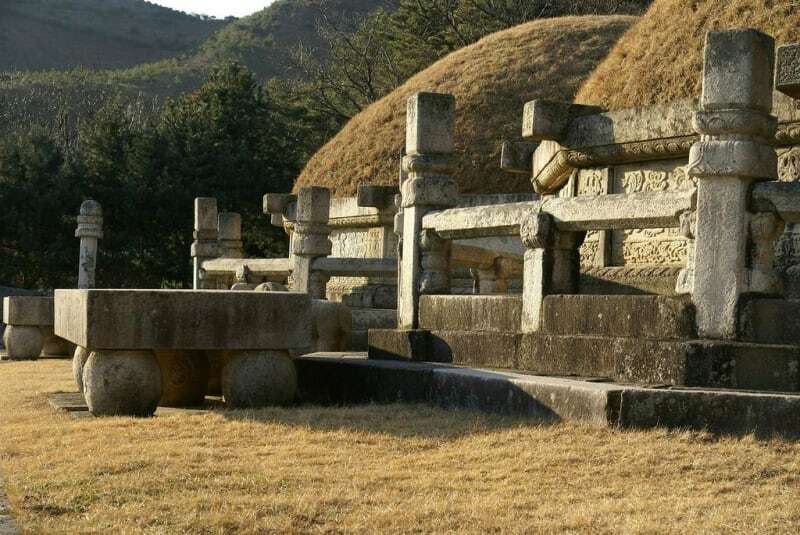 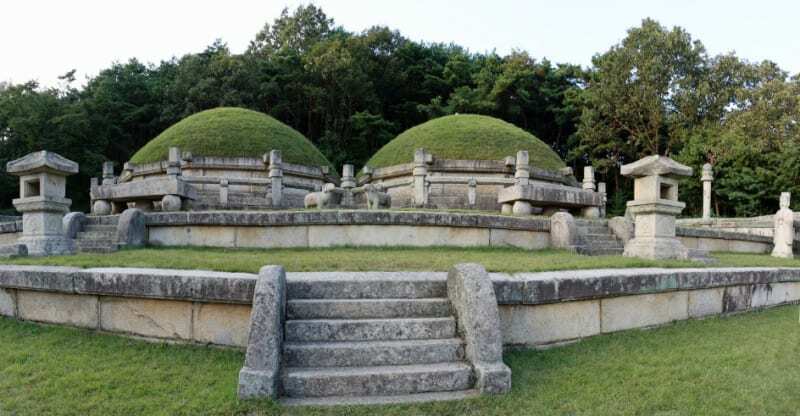 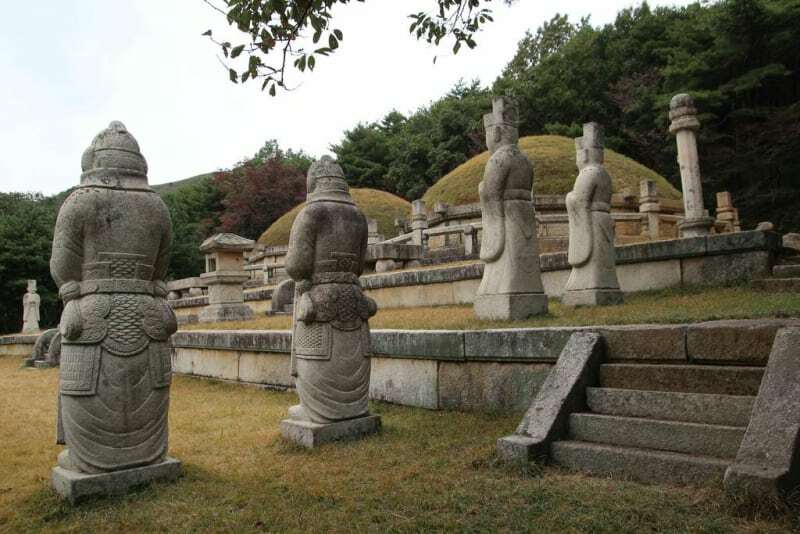 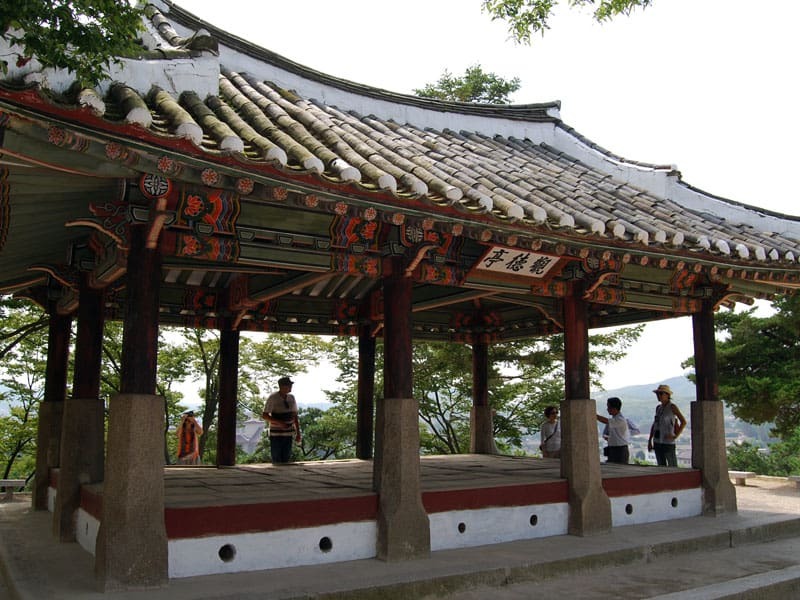 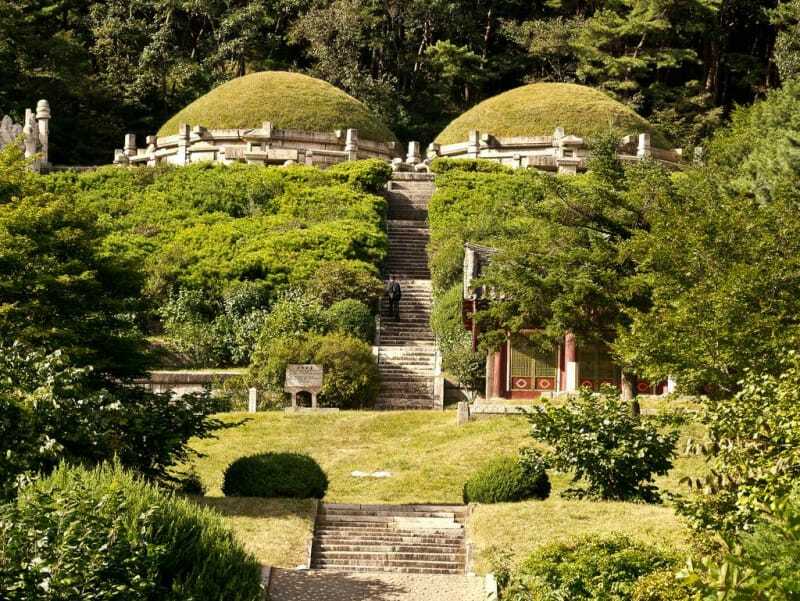 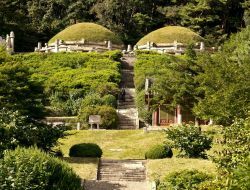 Dating from the early 10th century, it is regarded as the oldest structure for astronomical surveys in the world (together with its counterpart in Kyongju). 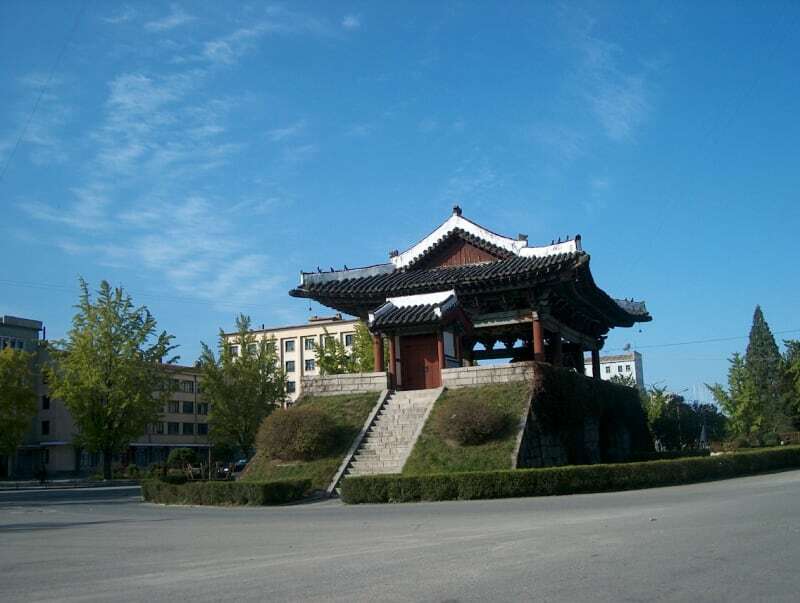 Taehungsan Fort is one of the fortresses to defend the Kaesong Fortress and its north gate. 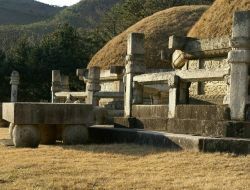 Originally encompassing both Mts. 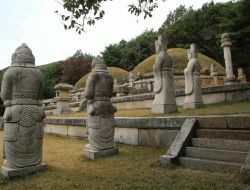 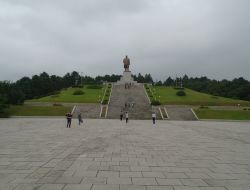 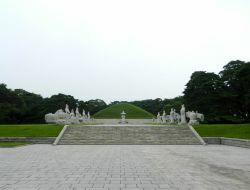 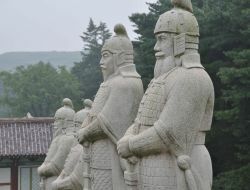 Chŏnma and Songgo, the castle was first founded as a fortress for the defense of the capital, encircled by over 10 kilometers of stone walls. 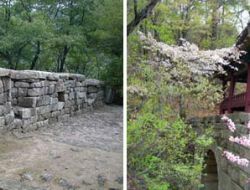 Today, many of the walls have become overgrown ruins. Concrete Wall - the wall, symbol of national division appears 27 km east of the city center. 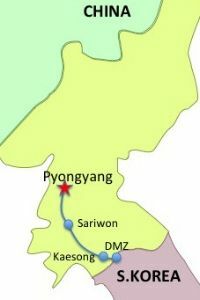 The wall was constructed by South Korea in 1979 and is designed to look like a natural hill from South Korean side and as a wall from the side of North Korea. 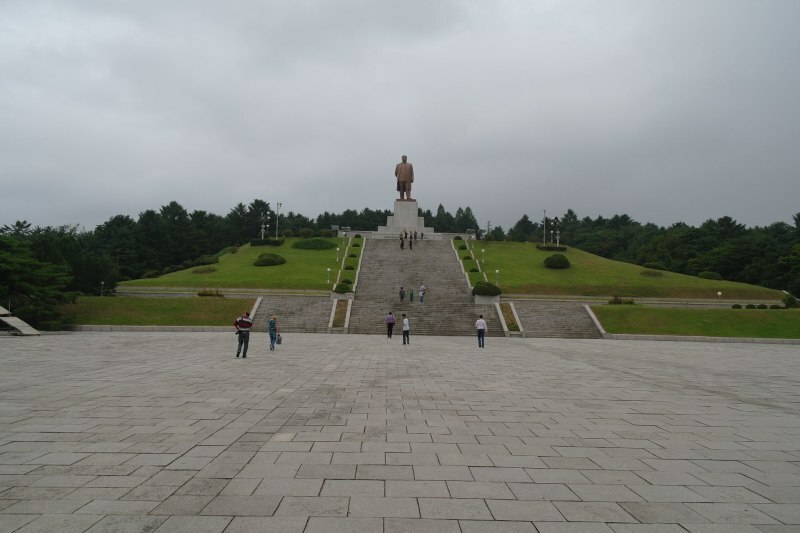 It measures 240 km long,5-8 m high, 10-19m thick at the base with pillboxes and iron gates in different sites.